Red clover has a long history of not just medicinal use, but, on a whole different note, also as a common cattle fodder. And it has some religious background as well, as the three leaves on the clover were associated with the Christian Trinity. During the Middle Ages, the red clover was considered a charm of protection against witches. Just as a regular four-leaf clover is considered lucky, the same is true of the red four-leaf clover. In fact, there is some debate as to whether the red leaf clover is the actual true shamrock planted by St. Patrick in Ireland. 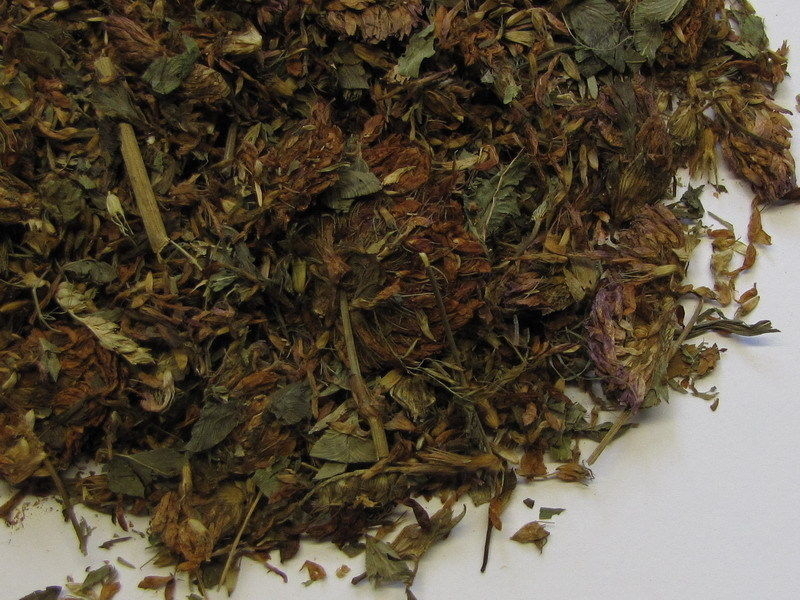 Regardless of the myths and folktales surrounding red clover, one thing has been proven through time - the herb makes a powerful addition to your natural medicine arsenal. 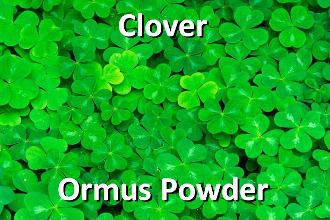 Clovers and especially the red ones have bioactive components: calcium, lecithin, chromium, magnesium, potassium, silicium, vitamins A, E, C, B2, and B3. Red clover is also considered one of the richest sources of isoflavon. Isoflavons are efficient in treating some forms of cancer and can even eliminate some cancerous cells. Studies have proved that clovers can protect against the development of breast cancer cells. Also, clover can reduce the risk of lymphatic, ovary and breast cancer. The herb reduces breast inflammations (mastitis) and breast pains. It detoxifies the lymph, lungs, liver, kidneys, and blood. In cases of gout, it is useful for decreasing the concentration of uric acid. Clover is a good expectorant; it soothes the spasms of the bronchi, convulsive cough and children's cough. It is also anti-asthmatic. It reduces the symptoms affections such as syphilis; it stimulates biliary secretion and relaxes the muscles. The herb has other uses too: it decongests the salivary glands, decreases arthritis pains, and reduces ocular inflammations. It has a relaxing effect on the nervous system, adjusting the psycho-emotional balance and contributing to the development of communication abilities. Also, in cases of a tuberculous nature, it reduces ganglionary inflammations, the effects concerning menopause and premenopause, hot flashes, depressive states and palpitations, being an excellent vaginal and urinal relaxant. In external use, it is dermatomic, being used in treating acne, psoriasis, eczemas, insect stings, abscesses or ulcerations. Red clover is also used for detoxifying the blood. Red clover added to the bath water aids you in dealing with financial arrangements of every kind. 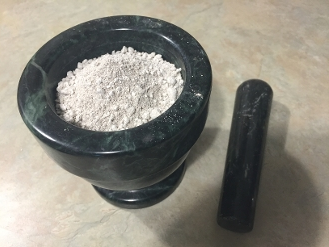 This Ormus Powder was made using a variation of the John Hudson method with whole red clover leaves and flowers being added to warm harmonically structured lightning water. I then added Organic Dolomite Lime and preformed the John Hudson Method. After washing it 7 times it turned into some potent Ormus powder.